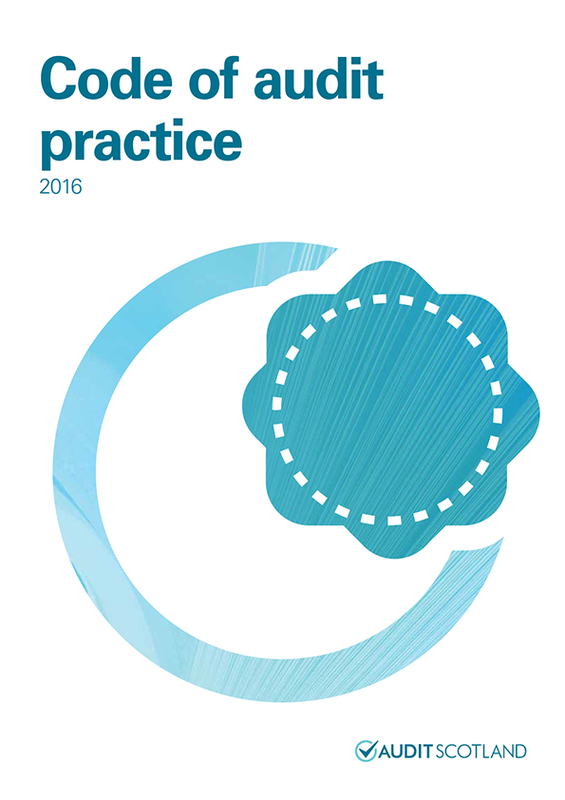 The Code of audit practice sets the framework for public audit in Scotland. 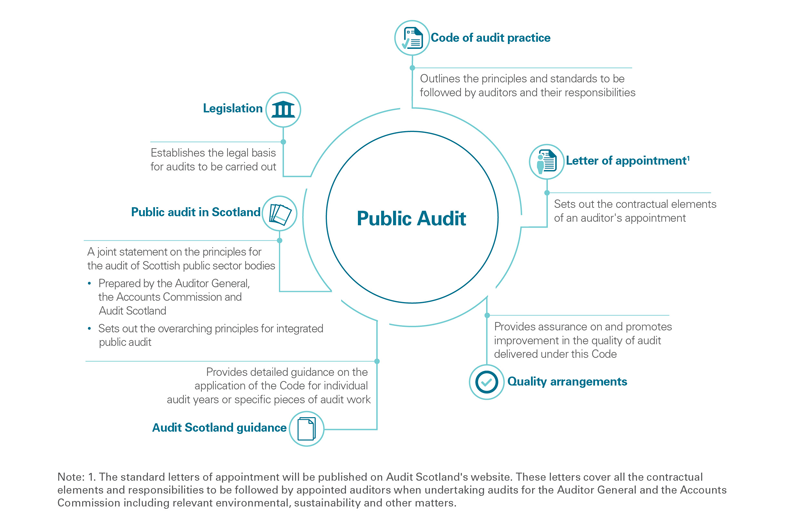 It outlines the responsibilities of external auditors appointed by the Auditor General for Scotland and the Accounts Commission, and describes the scope of public audit in Scotland. A list of the public bodies we audit and who will be auditing them from 2016/17 is on our audit appointments page. Additional guidance and information on the Code of Audit Practice is available on our Technical guidance page.